Make way for the elephant! 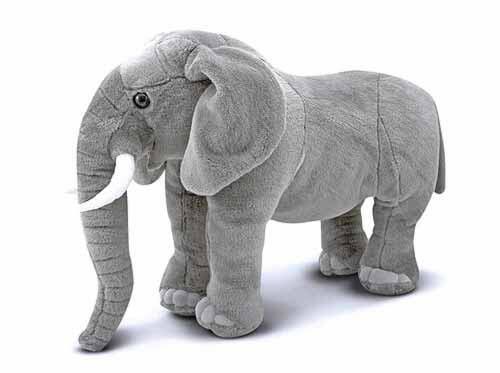 You'll need plenty of room in your heart for this lovable elephant. Excellent quality construction and attention to detail are obvious in this elephant's tusks, wrinkled trunk, floppy ears, right down to its toenails. 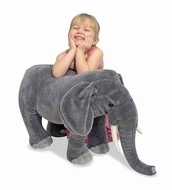 Just right for elephant-sized hugging!